Disclaimer: You may encounter spoilers if you haven’t read the comic. Mike was your average high school nobody; now his life is anything but average. 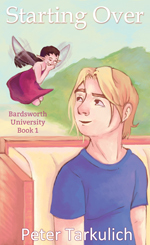 He is currently attending Bardsworth University – a school that exists in another world – to learn magic. He’s a big-hearted guy, and a bit naive at times. His main weakness is cookies. Kris is Mike’s roommate. He’s pretty quiet and laid back, but is rather serious when it comes to his schoolwork. He does what he can to help Mike out and tries to keep him out of trouble. It doesn’t always work. In fact, it rarely does. Fawn is Mike’s best friend in the world that he’s new to. 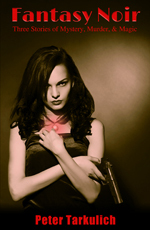 She’s an energetic and cheerful gal, but don’t get her riled up – the consequences can be dangerous. She shares a Spirit Bond with Mike, which bonds them in a deep way. Crystal is Mike’s girlfriend and a wizard major just like him. She has a fun personality and delights in teasing Mike, although it sometimes borders her brother Danyel’s sense of humor. She shares a dorm room with Keira. Keira is a bard major who made it into Bardsworth on a singing scholarship. She has the energy of a small child on too much sugar. Her hugs can be deadly and she’s very liberal with them. Francis is Fitzpot’s butler and is the epitome of “gentle giant.” He’s a demon, but lacks the essential demon characteristics. Instead, he’s kind, cheerful, and a fantastic cook. Fitzpot is a Grand Wizard (Third Class) and a professor at Bardsworth University. He also lives on the other side of Mike’s closet and is responsible for getting Mike into Bardsworth University. Fitzpot has a strong curiosity and a dry wit, and keeps close tabs on Mike for the boy’s own protection. Mike’s “hot teacher”. Unfortunately, she’s also the strict teacher, and apparently has no qualms about getting revenge on her students, as Mike has learned the hard way. But she also has a big heart hidden under her cold exterior. Professor Durnham, who insists that his students call him Charlie, is an eager and energetic Bardic Theory teacher. He has some dubious connections, however, and perhaps a few secrets. Rayner is Fitzpot’s son, although the two seem on less-than-happy terms. He was apparently cast out of the wizarding community. He has an interest in Mike, possibly because Mike might be a trimagus. There is also a connection between him and Professor Merrit. Joy is Fawn’s sister and one of her soulshares. She’s cheerful like Fawn, but seems to have a bit more sense at times. Another of Fawn’s sisters and her second soulshare. Raven is the grumpy one in the family, but is not incapable of affection, especially concerning her sisters and sometimes even Mike. Penelope, who prefers to go by “Penny”, shares a Spirit Bond with Rayner. She seems to delight in harassing Fitzpot to no end, but is on good terms with Francis and Professor Merrit. Crystal’s prankster of a brother. He’s made Mike one of his primary targets and has entirely too much fun coming up with new ways to torture him. And he still makes time to harass others as well. The typical older sister. Although she torments Mike to no end, she does love him. She would just never admit it to him. The parents of two wonderful children, one of whom studies magic in another world. Time to put Megan here on the characters’ list, perhaps? Thanks for sticking with drawing Bardsworth!